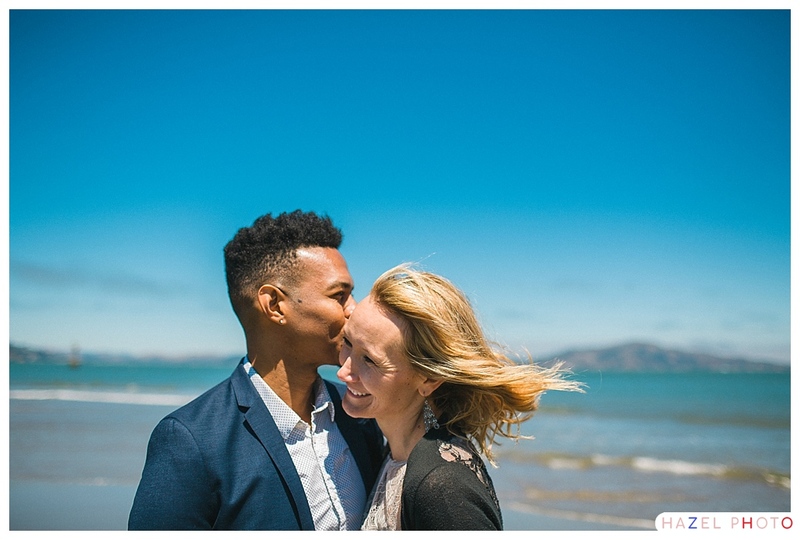 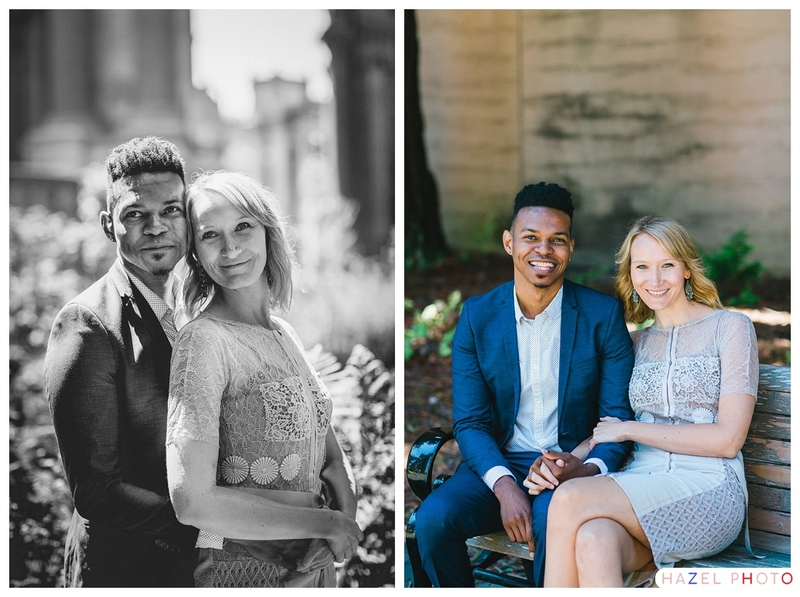 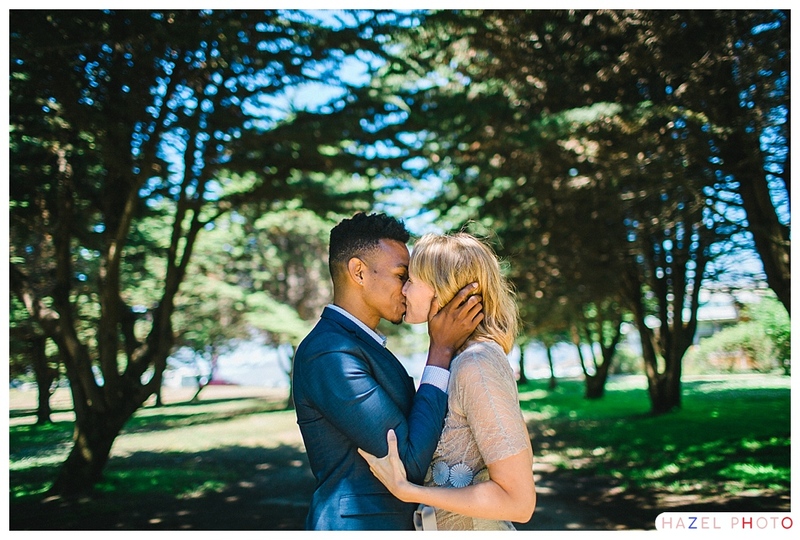 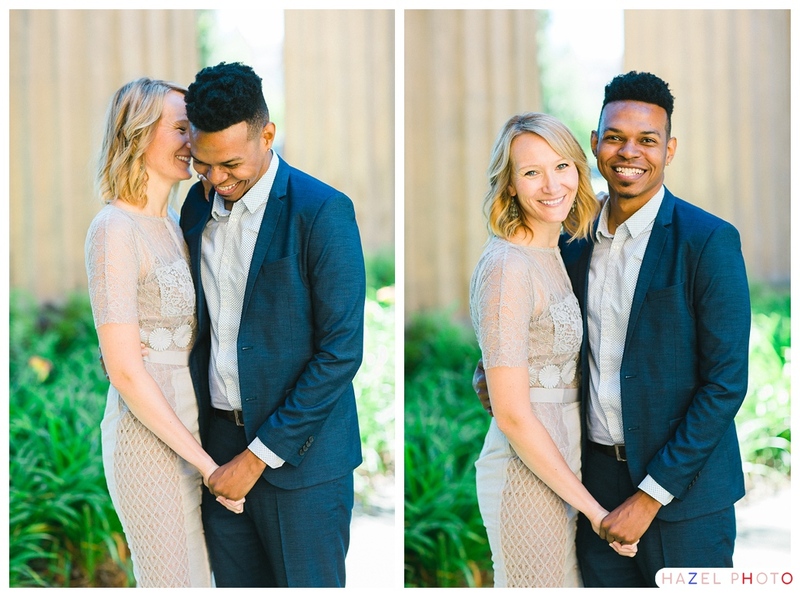 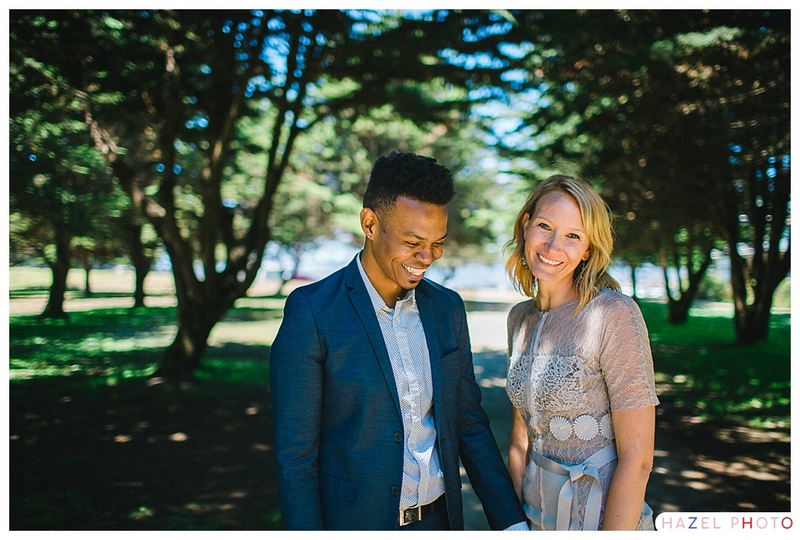 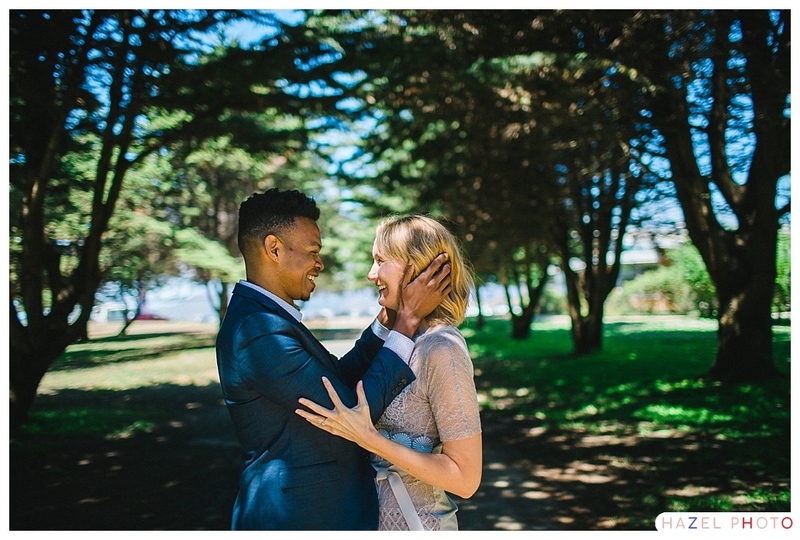 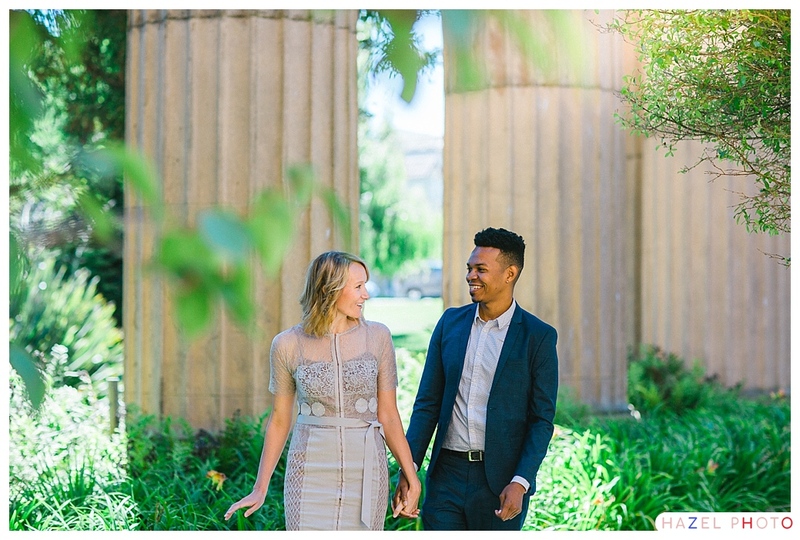 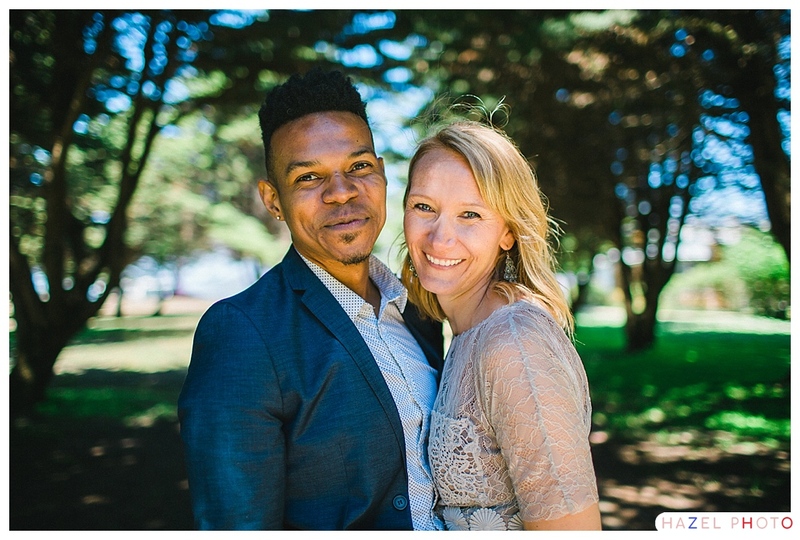 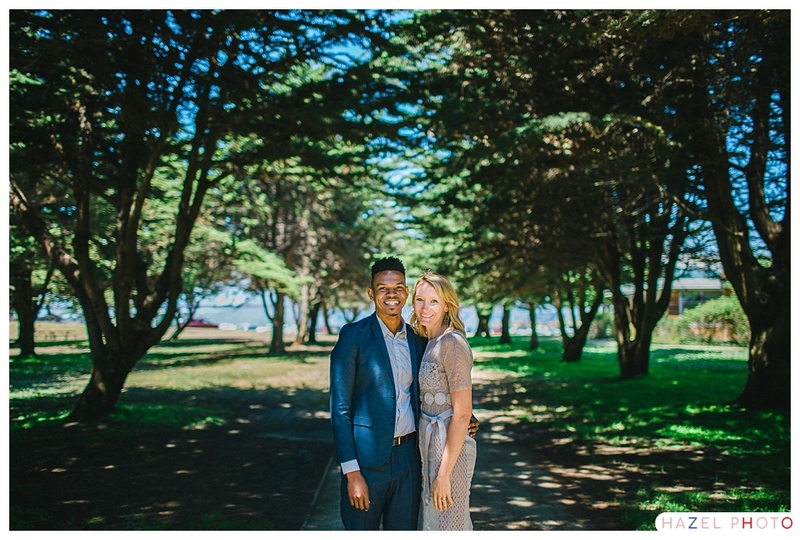 Kristin & Nick met and fell in love when they were living in San Francisco, so it was a treat for them to have an engagement session with the splendor of the city as a backdrop. 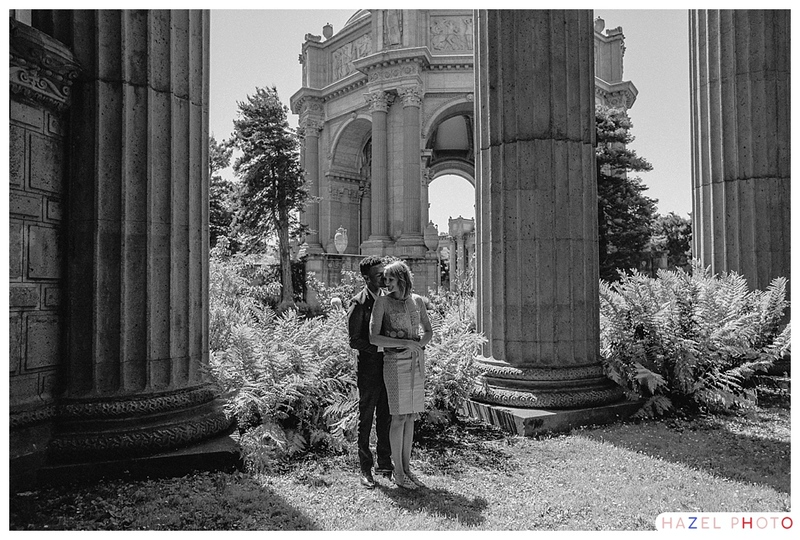 Nick actually proposed at the Palace of Fine Arts, so this was a return in another sense for the two. 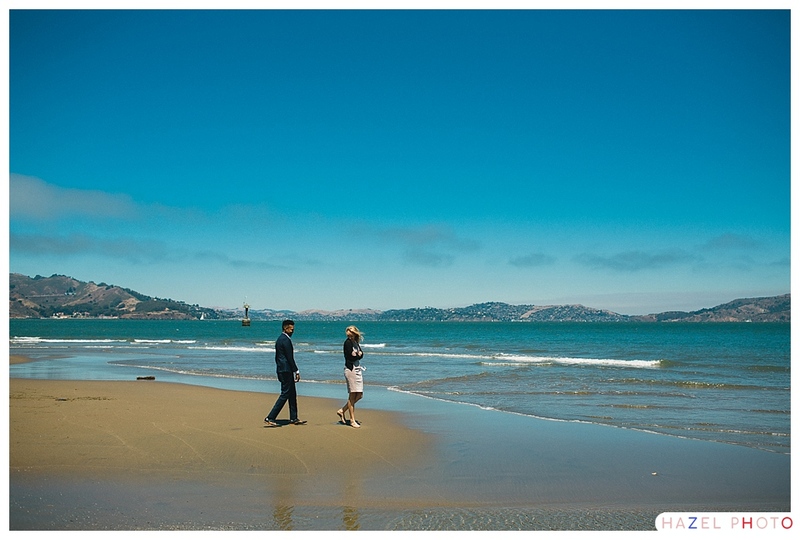 The weather did not disappoint. 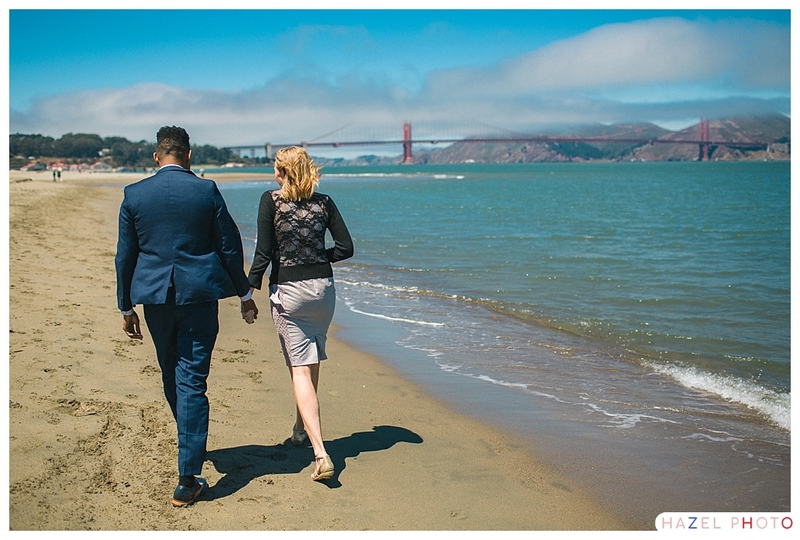 It was San Francisco through and through, toasty in the sun, and freezing cold in the shade, or when the wind blew. 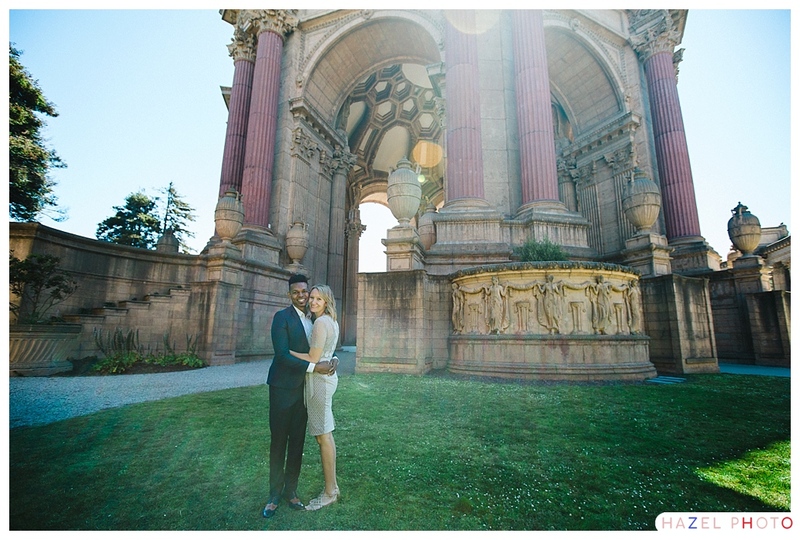 After exploring all the nooks and crannies of the Palace of Fine Arts, listening to accordion music, finding the good light on some large green doors, etc. 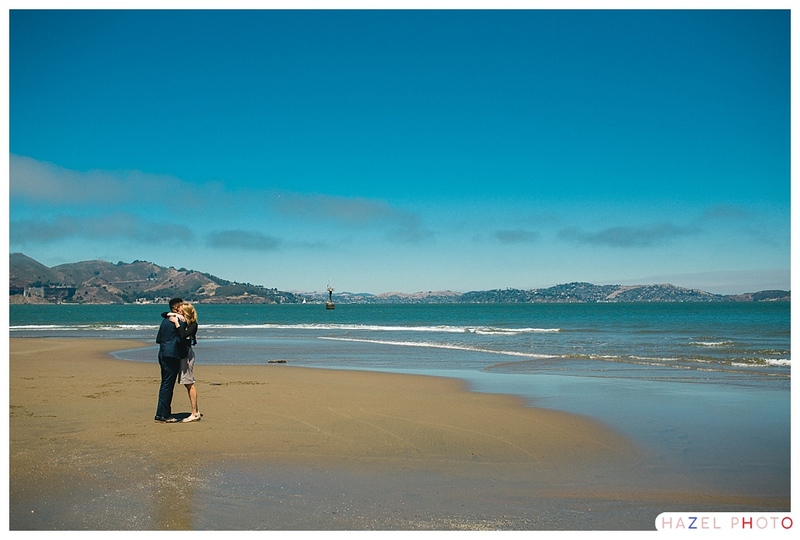 we headed over to the beach at Crissy Field for a few more photos with the Golden Gate Bridge, and the San Francisco Bay. 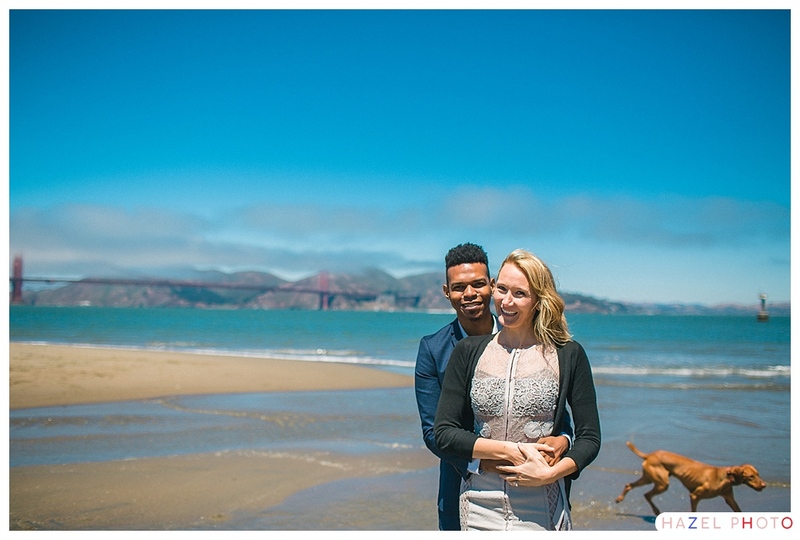 A seagull and a frisky dog made cameos. 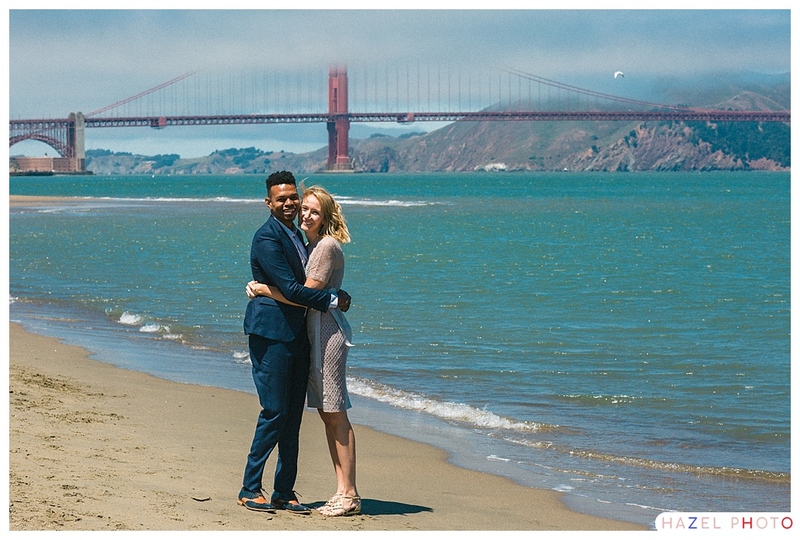 “Karl,” the fog, hung just past the bridge to remind us exactly where we were.